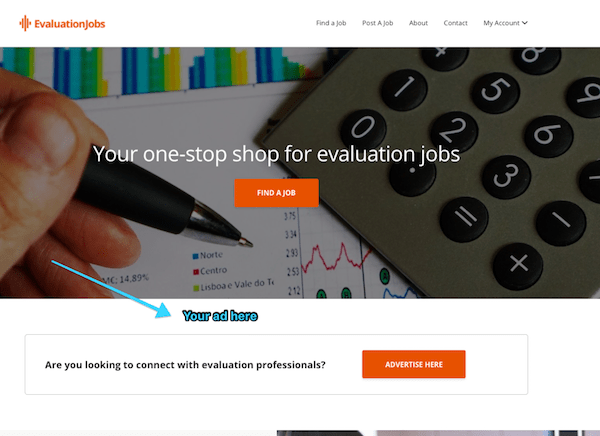 Reach evaluation professionals with an ad that promotes your business or service. You get premium placement on the home page as well as on the top of each job listing, guaranteeing you will get in front of those you want to reach. Hi, I'm David and I spend several hours per week running this website. If this site has helped you, would you consider making a small donation to support the site?